UPDATED: June 15, 2017 at 11:05 a.m.
Harvard has raised $8 billion in donations with a year still remaining in its record-shattering capital campaign, continuing its sprint past the public goal of $6.5 billion it set when the drive began in 2013. 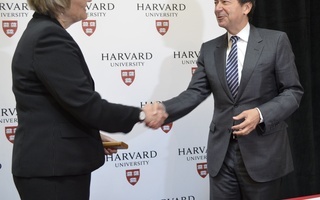 Harvard announced the new total Wednesday on the heels of news that University President Drew G. Faust will resign her post when the fundraising drive ends in the 2018 academic year. 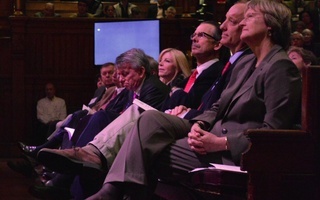 While fundraising totals for each of the University’s priorities are not routinely made public, Harvard wrote in a press release that donors have given $907 million to financial aid across its schools; $2.9 billion to its “science Schools and initiatives,” including gifts for the School of Engineering and Applied Sciences complex set to open in Allston in 2020; and $364 million for the arts. 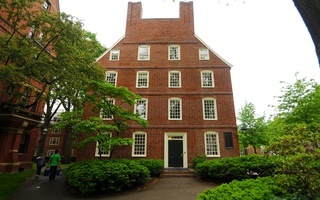 Harvard has received more than 500,000 gifts from 137,000 households spanning 170 countries, according to the press release. The current campaign is the first to involve all of the University’s schools simultaneously, as well as the first to rename schools—including the School of Public Health and SEAS—following nine-figure donations. Though Harvard has long since surpassed its overall campaign target, there are still “buckets” of unfilled need at the University. 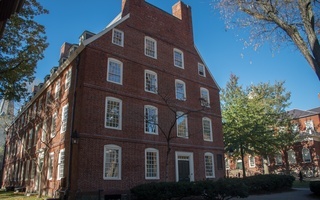 The school is still without a donor to name the SEAS complex, and has not met fundraising goals for its House renewal project, which will see many of the campus’s upperclassmen residences renovated. The University set a higher education fundraising records when the campaign surpassed $6.2 billion in 2016, the total Stanford raised in its last fundraising drive. As the campaign wanes, Harvard will add another powerhouse fundraiser to its donation apparatus come July when private equity pioneer David Rubenstein—and his extensive Rolodex of business and political contacts—joins the Harvard Corporation.